Photography is often used to set the mood in a website design, but illustrations are what really add character to a site. Today’s web design showcase features 25 fun web designs that all boast colorful and bold illustration work in various styles, including flat landscapes, cute characters, and detailed cartoons. A website that uses good illustration and animation will always be impressive and attract the visitors’ attention. Illustrations can turn an average website into a really unique one and enhance the company’s branding strategy. There are many types of illustration techniques used today in web design. 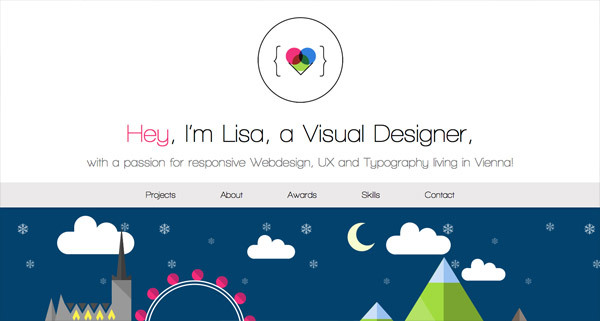 The first thing that pops up into our minds is the extremely popular flat design trend. It is frequently used in illustrations as well. There are also 3D illustrations or illustrations with subtle gradients and even textures. All of them are unique in their own way. Some of the websites we selected, in the list below, go above and beyond with beautiful, fun and creative illustrations. They surely stand out from the rest and will prove to be a valuable source of web design inspiration. 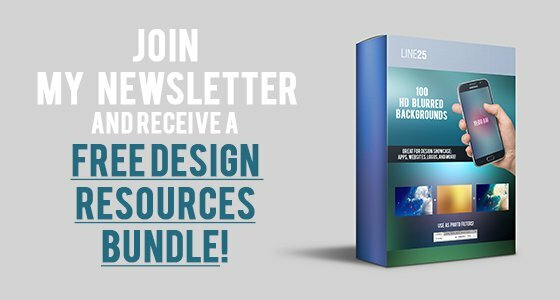 Check out our hand-picked selection of impressive, fun web designs with unique illustrations and let us know your favorite choices! I Will Change It’s website uses some amazing illustrations in its web design interface all the way down to the footer. It also presents a designer’s portfolio in a creative way. This is a great example of using illustrations to add character to your portfolio website. With a little creativity, color, and compelling illustrations you can surely change a website’s image and increase the impact it makes on your visitors! Stuff & Nonsense has an amazing large illustration as the first thing the website’s visitors see. Keep scrolling to see how much effort and thought was put in designing this website. This example can be a great source of inspiration for future projects. This is another website that uses an almost completely illustrated design. It looks pretty amazing and it really shows the designer’s amazing illustrating skills. 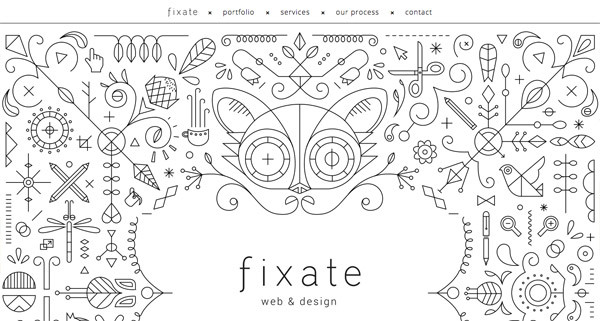 Fixate is a web and UX design agency’s website which uses an impressive illustration as the first thing a visitor sees. It definitely has an impact on who is checking the website. If you’ll keep scrolling you’ll notice the great choice of typography and a nice minimalist design. Take a look at this simple, flat, but very effective design. It emphasizes what’s important on a page and guides the visitor through the layout, in a simple and functional manner. 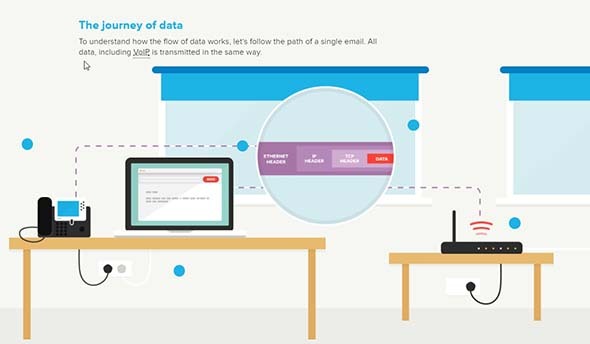 akita.co.uk is a nice example of a website that presents a vision about how internet data travels. 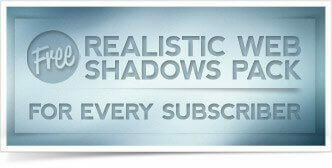 The animated illustrations are a great way of keeping the visitors interested in the content the website presents. This is definitely an example worth following in future projects. Guillaume Juvenet’s website aims at presenting the skills of a young web designer and developer through some awesome illustrations. In this case, the illustrations are a form of presentation that both present everything there is to know about the web designer and a great way to prove your skills to clients. Denise Chandler’s personal website not only uses animated hand-drawn illustrations but also uses a large hand-drawn typography. This website has a unique and full of personality design. 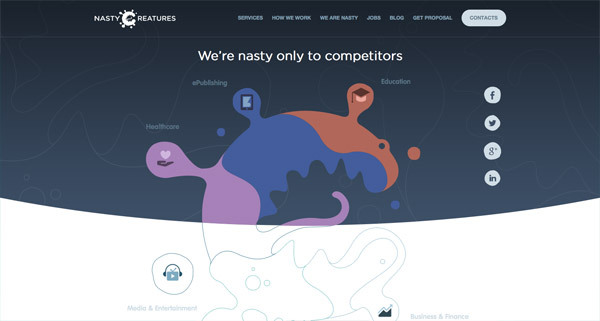 Nasty Creatures are only nasty to competitors so do not be afraid to check out this amazing website that uses illustrations. This website has a simple, dark-toned color palette and a unique illustration on the homepage. It makes the services they offer stand out, which is very important for attracting new clients. This example can be a great source of inspiration. This website has a unique and interactive way to raise awareness on what we eat. They use a slider which lets the visitor find out and navigate through the content. Everything is presented in the form of illustrations which is really effective. Combining illustrations with well-paired fonts is always a win-win situation! Activate Media is yet another good example of a website that uses illustrations in its design. This is definitely an example worth following and having in mind when working on similar projects! 25-years-of-the-internet is a website that tells the story of the internet from the moment it was created in a unique way that lets the visitor find out step by step all the important changes it went through to become what it is today. Lots of amazing illustrations can be found on this website. 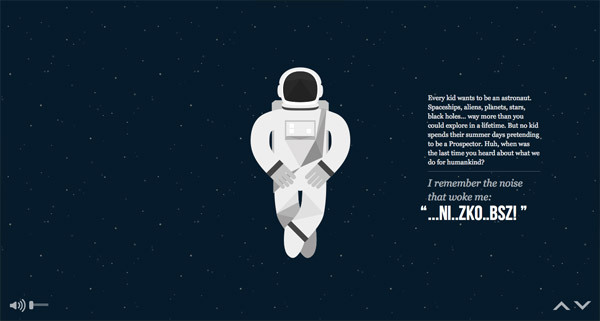 The Wrist website is yet another cool example of a website that uses illustrations to present content in a creative way. 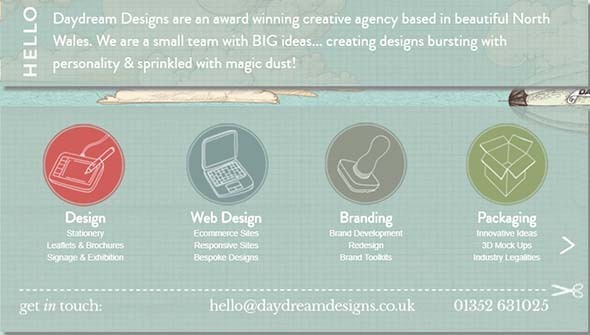 Daydream Designs’ website has an impressive illustration as its background. This website has an elegant design that also mixes textures, a palette of pastel colors and some nice hand-drawn icons. This website is entirely made of animated illustrations which give personality and definitely produce an impact on anyone who enters Creative Cruise’s site. This is an example worth following and it can be a great starting point for other awesome designs! Have a look at this example and get ready to be mind-blown by its unique design. 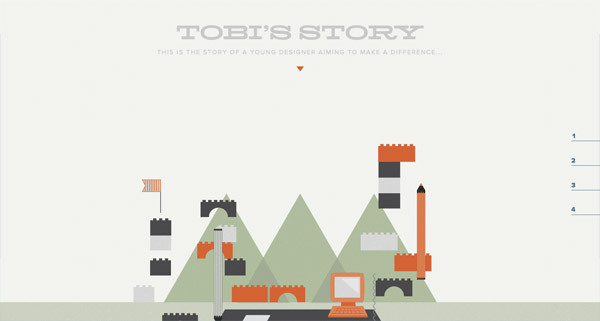 Joby’s website works as a personal scrapbook and it has an interesting way of presenting content to visitors. It starts with an illustrated horizontal band and then showcases all the projects he’s worked on until today. Check out the brilliant way this designer is presenting his story and get mind-blown by this website’s animated illustrations. This example can be a great source of inspiration for other young designers that want to make a difference! Realtii is yet another good example of a website that uses illustrations as a creative way to grab visitors’ attention. It uses a completely illustrated background and flat web elements throughout the website. Bold texts, simple typography, a white background and unique illustrations, this is what makes a great homepage design. 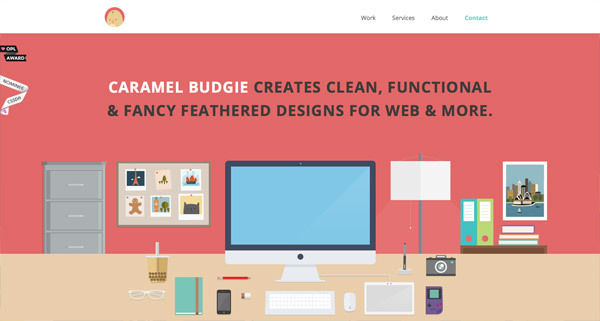 This website has an amazing flatly designed illustration that can definitely grab your website’s visitors’ attention. If you’re up for more sources of inspiration in regards to using illustrations in your web design projects, you should check out this website design. Dean Oakley is a web designer and developer specialized in WordPress and this is his website. This website uses an illustration that gives a warm and friendly vibe. 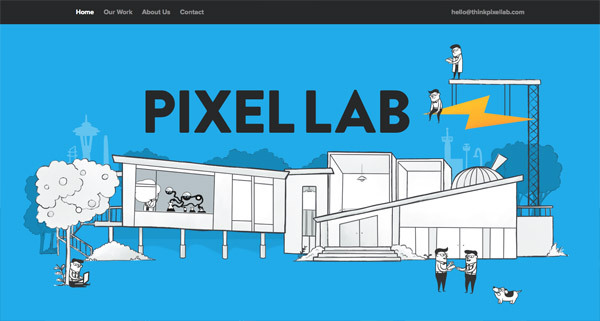 Pixel Lab’s website has a really nice animated illustration which presents this company’s workplace. This is a creative way of presenting yourself or your business in an interactive way! This website presents a designer with a passion for responsive design, UX and typography and her website proves her vast experience in this line of work. Check out this amazing website that has some amazing illustrations. 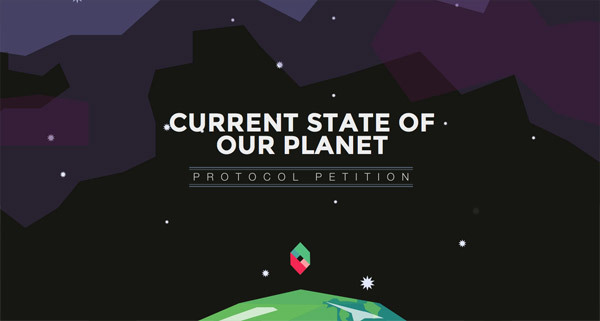 Check out the current state of our planet or get inspired by this brilliant website that uses illustrations. Let’s have a look at this amazing business card website and find out who Red is! Red’s personal page has a white background on which you’ll find a short resume, a portrait illustration and large hand-drawn typography in its header. Pure Dating is yet another cool website that uses illustrations and which can be a great source of inspiration. This example has a much more minimalist design than the others but remains a brilliant source of inspiration for future projects. If you ever dreamed of becoming an astronaut in your childhood or you are working on a website with a similar theme, space, here’s NASA’s prospect website. This website uses some really nice and animated illustrations. 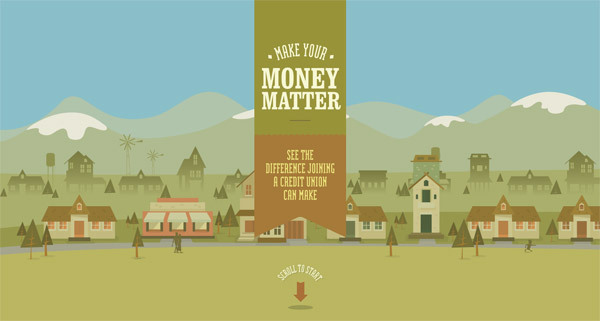 This website will give you an insight on what happens to your money when it leaves your pocket through some interactive and animated illustrations. My favorites are IWillChangeIt and Realtii. Cool work. Every site is unique !! Very useful resource for me. Thanks for sharing. Each of these sites is unique. These illustrations replace thousands of words. Monkeys is the best :) Thanks for share ! Tremendous amount of creativity going on in these finds, very beautiful and imaginative. We have some fabulous designs in our Portfolio if you wish to have a glance. Great Design. it’s Really Nice and Beautiful. Thank you very much for Sharing. I just started to update my portfolio when I came across this page. Very inspirational, just what I needed. Thanks for sharing, love it. Who wouldn’t love an armed, rampaging chimpanzee on their home page? !